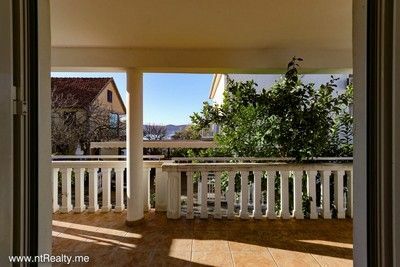 This apartment, size of approximately 56 m², is located in Kava, 500 m above the main bus station. 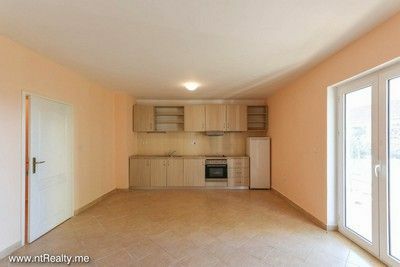 It consists of big living room, dinning space and kitchen all in one, one bedroom of decent size, hall with wardrobe and bathroom. 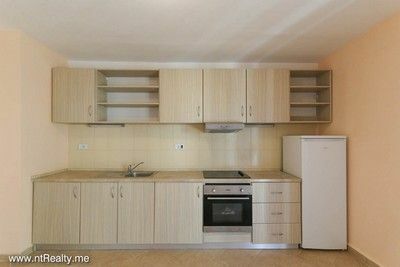 Kitchen is properly equipped but apartment comes unfurnished so the clients can arrange it to their own taste and needs. 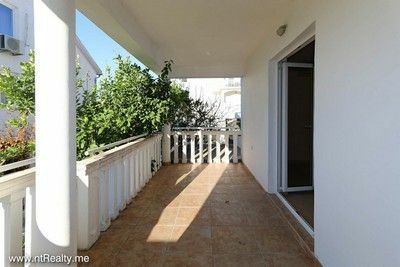 It includes big terrace (13 m²), with partly sea view. 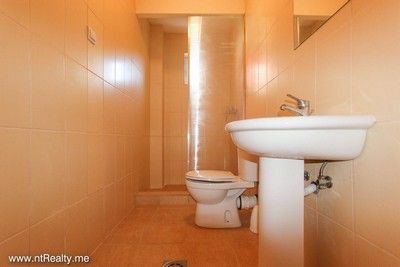 It is 5 minutes from Tivat Centre and Porto Montenegro. It is not too far from nearby airports Tivat (1,7 km), Podgorica (86,7 km) and Dubrovnik (49,6 km). 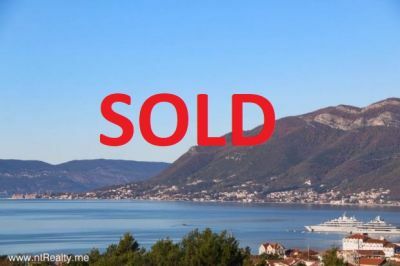 Ferry port is 7 km away, luxury village with golf courses Lustica Bay 12 km, Kotor 9,6 km and Budva 23 km.